The odd-even scheme will be rolled out in Delhi for five days from November 13 to November 17. The scheme will be in place from 8 am to 8 pm and there will be exemptions for women drivers and two-wheelers. 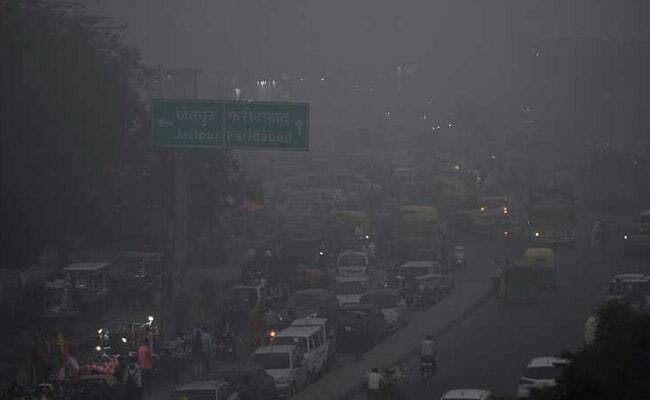 New Delhi: With nearly 13 lakh private cars expected to keep off the road per day after the odd-even scheme kicks in from Monday due to the smog and dangerous pollution levels in Delhi, the government is looking to hire 500 buses to ensure smooth commute for the public. "We are working to hire 500 additional buses as directed by the transport minister. In view of short-time period, it is a tough task, but bus operators have promised to arrange buses for odd-even," said a senior official, who did not wish to be named. According to the official data, DTC buses carry around 35 lakh passengers every day. Since the AAP came to power, the DTC has not been able to purchase any new bus. The number of registered vehicles in the national capital has crossed the 1 crore mark and of this, 31,72,842 are cars registered in the city. The official said that as per rough estimates, about 13 lakh cars will go off the roads every day during the operation of the odd-even scheme. Earlier yesterday, Delhi Transport Minister Kailash Gahlot said the Delhi Metro Rail Corporation has also promised to provide 100 small buses during the period. The DMRC will run 3,335 trips as against 3,248 trips it ran during the second phase of odd-even drive during April 2016. "Schools will be free to provide their buses voluntarily. However, there will be no compulsion," Mr Gahlot said. Private bus operators urged the government to close schools to help them arrange extra buses for the five days of the odd-even scheme starting November 13. The operators said they wanted to ensure the road-rationing measure against the alarming pollution in the city is a success, but also cited their problems. "Almost 3,000 buses are hired by schools on a permanent basis. If schools are closed, these buses will be available for use during the odd-even days," Shyamlal Gola, spokesperson and general secretary of the STA Bus Operators Ekta Manch, said. In view of the severe air pollution level in the city, the government has closed all schools till Sunday and a further decision will be taken after an assessment of air qaulity. "We have been approached by DTC officials (for the additional buses). But we have certain problems that need to be addressed to enable us to provide the additional buses. Still, we are working to arrange the buses," Mr Gola said. The Ekta Manch has also demanded the government deploy the hired buses at depots close to the offices of operators, so that they do not have to run from one place to another, he said. "We also wish for timely payment for hired buses so that the service can be provided smoothly without any interruptions," he added.